Discussion in 'News & happenings' started by JD666, Jul 9, 2012. 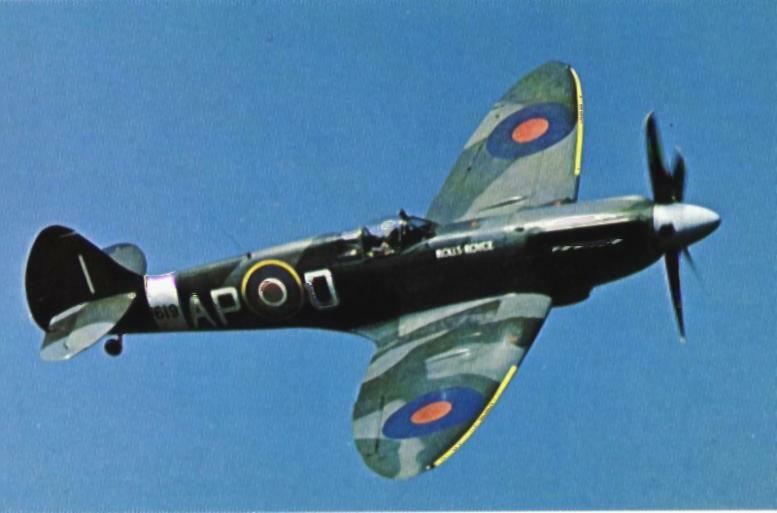 Towards the end of World War 2, the Royal airforce had brought in a fleet of 20 SuperMarine Spitfires ( Air force, not Navy ) aircrafts to Myanmar for their forward attack role against the Japanese. This was around 1945, however the war ended, and these aircrafts were not required. And bearing in mind that over 20,000 aircrafts were produced, the British thought best to bury them, rather than having to lug them all the way back to Great Britain!. An aircraft enthusiast/farmer made several trips to the country in search of these planes. Now where it gets interesting. These weren't planes that were buried like by the Iraqi forces during their retreat ( whole and right in the sand ). These were crated planes, in crates 8ft by 20 ft! And with all protective plastic/paper/greasing/oiling!! Un-assembled, and never run. And running the last/most power engine that the aircraft had ( over 2000 horsepower. To put it in perspective, the aircraft started with a meek 1000 horsepower engine ). Currently there are around 35 airworthy aircrafts in the whole world, valued at about 1.7 - 1.8 million pounds each. These aircrafts if found in proper condition, could add to the airworthy fleet. To be honest its a great business venture, the whole project is going to cost 500,000 pounds, and fetch them over 30 Million pounds! And to top it all The PM himself ( from UK ) mentioned it! Google around, you'll find more info! Burma used to be a happening place,my grandfather used to run a business(timber whole sale) in Burma and he returned back to India with ten thousand Rupees in 1940. I think they had a pic of the whole sale mart in black and white in my native place, i will ask my dad to check if it still there when he goes there next time. What JD is talking about..
With the kind of material they were built with, I doubt they would have survived! Though yeah, extremely nimble aircrafts! They we're 'wooden' right .. I heard that somewhere.. and we're made for only a one-way trip ..
No! Rather.. though the Zero were used for Kamikaze flights.. it was mainly because at the ?#@*&%!^$~ end of the war... the Imperial Japanese forces used those as desperate techniques to stop allied forces advancing. The Zero was actually designed and later even proved itself as a very capable fighter. Lighter with a lower center of mass and low loading meant it had phenomenal prowess with maneuverability. Together with the 20mm canons, it was a formidable fighter and served not just for kamikaze missions. Allies invested more in bombers n bigger air craft.. as per my movie knowledge. Am I the only one who cheered for the Japanese in the pearl harbour movie..?